You will feel much cooler opening wine this way. For years, I felt that sabering Champagne was the sexiest way to open a bottle—shooting the top off (glass, cork, and all) in a long arc with a satisfying pop. And, if your friends are anything like mine, it’s all done to the sound of shouts and applause. Add in its historical origins—can’t you just imagine Napoleonic soldiers slicing open Champagne bottles with their trusty sabers?—and it doesn’t get better. At least, that’s what I thought until visiting the cellars of Taylor’s, one of the most venerable port houses in Porto and discovering an equally fascinating alternative: Tonging. Okay, the name doesn’t roll off the tongue in the same way. But “tonging” involves historical implements, fire, and breaking glass with heat. What’s not to love? Unlike many other wines, vintage ports are intended to age for decades; twenty years, fifty, sometimes longer. 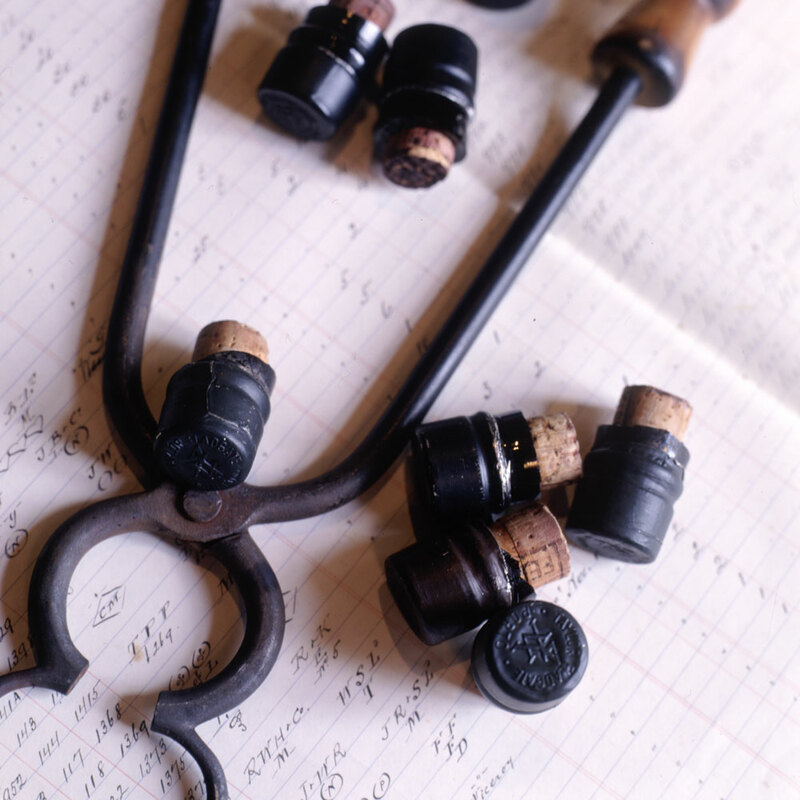 Over that length of time, the cork can start to disintegrate, such that it could crumble if met with a corkscrew. And when you’ve been waiting half a century to crack open a bottle, the last thing you want is crumbs of cork getting in the way. The alternative? Precisely sever the neck of the glass bottle itself.